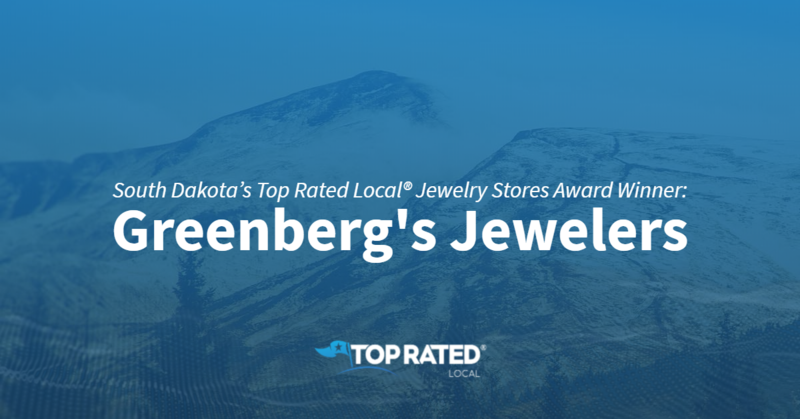 Top Rated Local® is pleased to announce that Greenberg’s Jewelers is a 2019 award winner for jewelry stores in South Dakota! For great customer service and the largest selection of engagement and wedding rings in Sioux Falls, turn to Greenberg’s Jewelers. Greenberg’s Jewelers has received hundreds of reviews on multiple verified sites with an average rating of 4.87 stars, earning them a phenomenal Rating Score™ of 92.65 and a 2019 Top Rated Local award for ranking among the top 10 jewelry stores in all of South Dakota! “[I] can’t say enough about the help we received designing an engagement ring. They were always helpful and worked with us to design the perfect piece, always showing us new designs and ideas. We had a very specific look in mind, and they used all their resources to find what we were looking for. They didn’t sacrifice quality and guided us to find our look without sacrificing durability. Thanks to all that helped us!” – Adam N.
John Virkus, the manager of Greenberg’s Jewelers, took a few minutes of his time to tell us a little more about this one-of-a-kind jewelry store and its award-winning online reputation. John went on to tell us how some of the staff at Greenberg’s Jewelers has been there for 21 years, and they’ve helped the children of customers they’ve sold engagement rings to in the past. John attributes Greenberg’s Jewelers’ strong online reputation to his team’s commitment to great customer service. When we asked John how Greenberg’s Jewelers has gotten their name out there outside of building a powerful online reputation, he told us that their marketing department handles that side of the business, and that the salespeople and management hand out cards and give rewards for referrals. 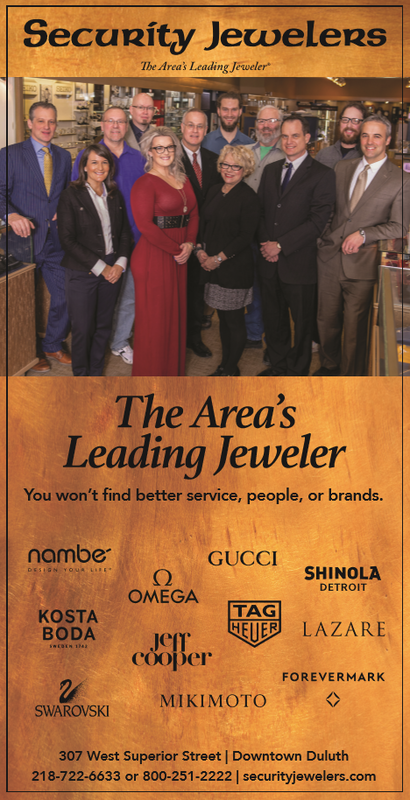 Congratulations to the team at Greenberg’s Jewelers for being a 2019 Top Rated Local award winner, and thank you so much, John, for taking the time to speak with us! We highly recommend Greenberg’s Jewelers in Sioux Falls. Visit their website today! 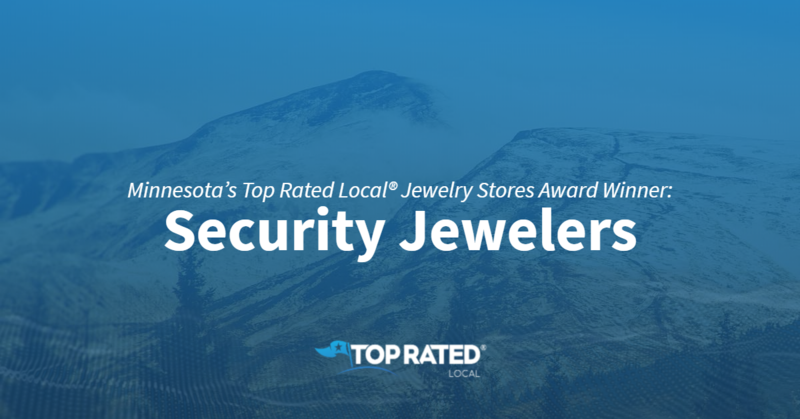 Top Rated Local® is pleased to announce that Security Jewelers is a 2019 award winner for jewelry stores in Minnesota! For all of your jewelry needs in Duluth, there’s no better jewelry store to turn to than Security Jewelers. Security Jewelers has received more than 150 reviews on five verified sites with an average rating of 4.75 stars, earning them a superb Rating Score™ of 97.54 stars and a 2019 Top Rated Local award for ranking among the top 10 jewelry stores in all of Minnesota! “I brought in a pair of sapphire earrings that my husband bought for me 13 years ago. The posts had worn thin, and the backs no longer locked. They fixed them free of charge and paid over $12 to ship them back to me. Thanks! Your customer service has always been great.” – Kathy J.
Andrew Genereau, the owner of Security Jewelers, generously gave us a few minutes of his time to tell us about his award-winning business and its incredible online reputation. The first thing we wanted to know was what it is that sets Security Jewelers apart from their competition in Minnesota. Andrew points to the fact that Security Jewelers is a 94-year-old, family-owned business and told us that most of their staff has been with the company for more than 20 years. That means that their customers are helped by the same people year after year. The sales staff at Security Jewelers are never pushy, and because of this, if their clients walk away, they are much more likely to come back. Andrew went on to tell us that they are a proud supporter of their local community. When we asked Andrew about their secret to such a strong online reputation at Security Jewelers, he told us that their services are their strongest attribute and that they concentrate on greeting people right away and listening intently to what they want. Outside of building a powerful online reputation, Security Jewelers has gotten their name out there through the radio, billboards, participating in community events and giving to local fundraisers. They know that they sell a product that not everyone needs, so they try to be great community members so that people remember them; they even offer their employees paid volunteer time. 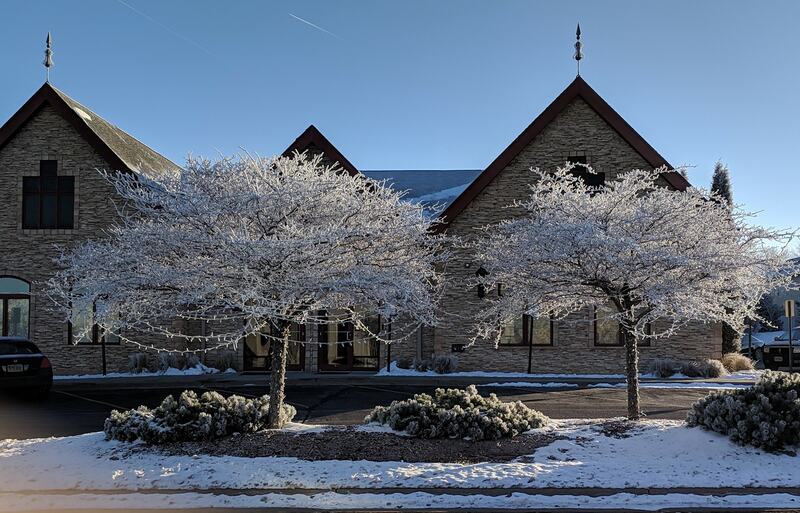 Congratulations to the team at Security Jewelers for being a 2019 Top Rated Local award winner, and thank you so much, Andrew, for taking the time to speak with us! We highly recommend Security Jewelers in Duluth. Visit their website today! Top Rated Local® is pleased to announce that Jewelsmith Inc is an award winner for jewelry stores in 2019. For all of your custom jewelry needs in Durham, look no further than this award-winning company! Jewelsmith Inc has received many overwhelmingly positive reviews across five different verified sites with an average rating of 4.82 stars, earning them an impressive Rating Score™ of 98.24 and a 2019 Top Rated Local award for ranking as one of the top 10 jewelry stores in North Carolina! “[This is an] excellent staff. My partner and I could not be more thrilled about our custom-made engagement rings. [They have] been with us every step of the way and helped us design rings that reflect our aesthetics, values, and budget. I recommend this ‘gem’ of a local business to everyone.” – J.T. It is because of excellent reviews like this that Jewelsmith Inc is now able to call themselves a Top Rated Local award winner! We were excited to learn all about how Jewelsmith Inc has been able to build such an impressive reputation, so we sat down with the Designer, Delouis Wilson. The first thing we wanted to know was what it is that makes Jewelsmith Inc stand apart from their local competitors. We learned that they are a full-service, custom design store that believes strongly in providing exceptional customer service. With 43 years of success behind them, we were excited to learn about some of the ways this business has marketed themselves over the years. They occasionally advertise online via social media platforms. They also do some advertising in local papers. They are most excited about the community service they participate in. As a small local business, they believe it is very important to support their community. Congratulations to Jewelsmith Inc for being a 2019 Top Rated Local award winner, and special thanks to Delouis for taking the time to speak with us! Top Rated Local® is pleased to announce that Rae’s Jewelry is an award winner for jewelry stores in 2019. If you are looking for a hometown jewelry store that will offer one-of-a-kind service and experience, look no further than this award-winning company! 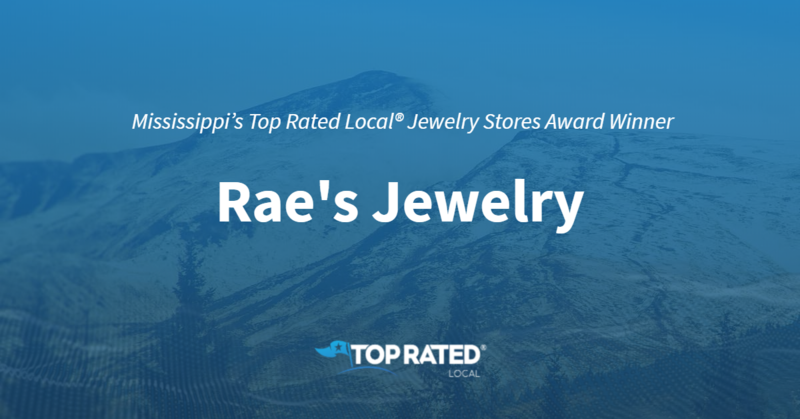 Rae’s Jewelry has received many overwhelmingly positive reviews across three different verified sites with an average rating of 4.78 stars, earning them an impressive Rating Score™ of 93.81 and a 2019 Top Rated Local award for ranking as one of the top 10 jewelry stores in Mississippi! “[This is the] best place ever. [They are] your hometown jeweler. I wouldn’t go anywhere else. [I] love this family. They have hooked me up with fine jewelry for years now. If you need a clock or watch fixed, or an engagement ring, or [if] you want something for yourself, this is the place to go.” – J.R. It is because of excellent reviews like this that Rae’s Jewelry is now able to call themselves a Top Rated Local award winner! We were excited to learn all about how Rae’s Jewelry has been able to build such an impressive reputation, so we sat down with the President, Pete Creekmore. Pete has owned Rae’s Jewelry for the last 19 years, and in that time, they have grown a truly impressive reputation, online and off. We were excited to learn about some of the ways they have marketed themselves over the years. We learned that they have a presence on social media, and that they have invested time into making an excellent website. 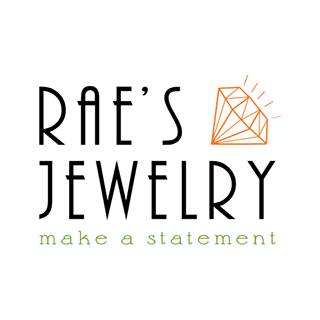 Congratulations to Rae’s Jewelry for being a 2019 Top Rated Local award winner, and special thanks to Pete for taking the time to speak with us! Top Rated Local® is pleased to announce that Faini Designs Jewelry Studio is a two-time 2019 award winner in South Dakota! With a wide range of jewelry and services, including custom design and jewelry repair, there’s no better jewelry store to turn to in Sioux Falls than Faini Designs Jewelry Studio. Faini Designs Jewelry Studio has received dozens of reviews on four verified sites with an average rating of 4.95 stars, earning them a phenomenal Rating Score™ of 97.49 and two 2019 Top Rated Local awards — one for being ranked among the top 100 businesses and one for being ranked the number one jewelry store in all of South Dakota! “When my fiancee and I went in search of an engagement ring, I wasn’t sure what I wanted except for one specific: I did not want a diamond. I wanted an opal. With every other jewelry store we walked into, we quickly left in disappointment and frustration. The moment we said ‘opal,’ their faces dropped, and they showed us the rather limited selection they had of that stone. None of them seemed interested in working with us until we got to Faini’s. They were so friendly and accommodating. [They] didn’t brush us off because we weren’t after a diamond. They worked with us to help us create a one-of-a-kind ring that fits who we are. And when we returned for the wedding bands, they again blew us away with their amazing customer service and willingness to help us find the pieces that fit us.” – Jamie S.
Gerard Faini, the owner of Faini Designs Jewelry Studio, generously gave us a few minutes of his time to tell us about his award-winning business and its superb online reputation. We also wanted to know what their mission is at Faini Design Jewelry Studio and how they work to make the world a better place. Gerard shared with us that they provide a community-feel in their store and that all of their customers are friends. Gerard attributes Faini Designs Jewelry Studio’s strong online reputation to their commitment to being there for their customers’ needs and to never treating them like just another sale. Faini Designs Jewelry Studio has been serving Sioux Falls forever, and in all of that time, they’ve remained dedicated to treating their customers like family and to selling because of needs rather than numbers. Outside of building a powerful online reputation, Faini Designs Jewelry Studio has gotten their name out there through Facebook, billboards and television, as well as by working with children’s charities. 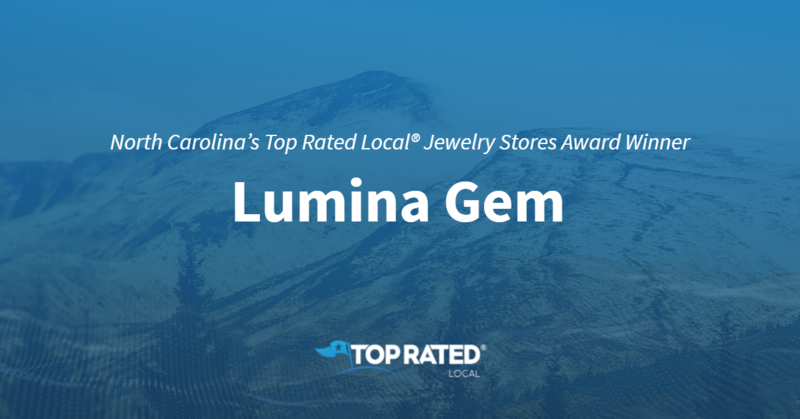 Congratulations to the team at Faini Designs Jewelry Studio for being a 2019 Top Rated Local award winner, and thank you so much, Gerard, for taking the time to speak with us! We highly recommend Faini Designs Jewelry Studio in Sioux Falls. Visit their website today! Top Rated Local® is pleased to announce that The Diamond Room by Spektor is a 2019 award winner for jewelry stores in South Dakota! When it comes to jewelry in Sioux Falls, you won’t find a better option than The Diamond Room by Spektor. The Diamond Room by Spektor has received almost 100 reviews on four verified sites with an average rating of 4.84 stars, earning them a spectacular Rating Score™ of 96.41 and a 2019 Top Rated Local award for ranking among the top 10 jewelry stores in all of South Dakota! “Twenty years ago, I worked with Alon to create a one-of-a-kind engagement ring for my then-fiancee, now-wife. She truly loved it and was heartbroken when she lost it somewhere in our kitchen. When I reached out to The Diamond Room to assist us in replacing it, they still had the same mold from the original ring and were able to exactly duplicate it! The replacement ring was every bit as beautiful and every bit loved by my wife as the original one. To be able to do this after 20 years truly proves they are best-in-class!” – C.J. In order to learn a little more about this outstanding jewelry store and its incredible online reputation, we took a few minutes to talk with Amanda Lumheim, Marketing Manager at The Diamond Room by Spektor. The first question we had for Amanda was what makes The Diamond Room by Spektor unique compared to the many other jewelry stores in South Dakota. Amanda told us that their prices are very competitive because they are a diamond wholesaler — especially the prices on their engagement rings. Amanda attributes The Diamond Room by Spektor’s strong online reputation to their commitment to always staying relevant in the market. In fact, they’ve just recently redone their website to inspire interest in their customers. Outside of building a powerful online reputation, The Diamond Room by Spektor has gotten their name out there through Pinterest, Facebook, Instagram, print ads, television ads and participation in external events. Congratulations to the team at The Diamond Room by Spektor for being a 2019 Top Rated Local award winner, and thank you so much, Amanda, for taking the time to speak with us! We highly recommend The Diamond Room by Spektor in Sioux Falls. Visit their website today! 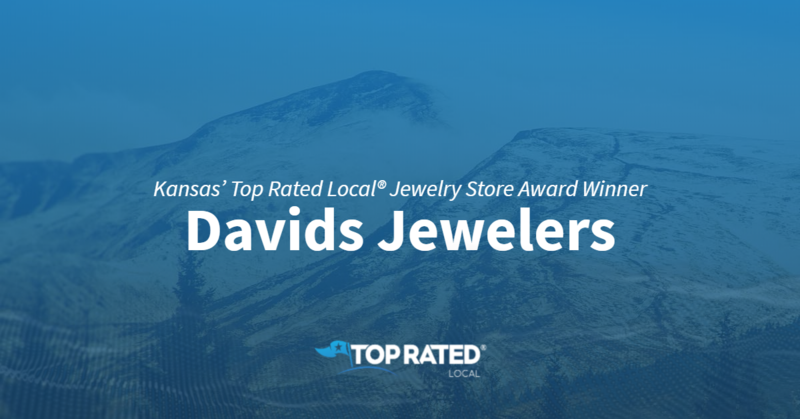 Top Rated Local® is pleased to announce that Davids Jewelers is not only the number one jewelry store in Kansas, but one of the top 100 businesses in the state overall! “Very friendly people and decent prices. They have all the right equipment and pay attention to detail. They can fix just about anything if it can be fixed they CAN do it! Mitzi is the best! Everyone there is extremely helpful and will tell you the truth. Have a question just ask. They have some very pretty clocks and jewelry and so much more. Check them out for all your fancy jewelry needs. They also repair priceless watches. Stop in just to say hello!” -Brook B. Reviews just like this have helped Davids Jewelers to earn a perfect 100.00 Rating Score™ and 5.00 average star rating on verified sites, making them a 2019 Top Rated Local award winner! Mitzi Elliot, the aptly described “wearer of all hats” at Davids Jewelers, took some time to talk to us about the business’ awesome online reputation. Congratulations to the team at Davids Jewelers, and thank you, Mitzi, for taking the time to speak with us! We highly recommend Davids Jewelers in Kansas. Visit their website today! Top Rated Local® is pleased to announce that Paul Hartquist Jeweler is a 2019 award winner! “I spent the last month with Paul custom-making an engagement ring for my fiancé. He was extremely helpful and knowledgeable, and most importantly, he was prompt as I had a one-month deadline. I would absolutely recommend Paul to anyone looking to make custom jewelry, as mine turned out exactly as I had envisioned it.” -Calvin O. Thanks to tons of excellent reviews just like this, Paul Hartquist Jeweler has earned a spot among the top 10 jewelers in the entire state of Minnesota, as well as a 98.00 Rating Score™ and a perfect 5.00 average star rating on verified sites. Paul Hartquist himself took a few minutes to speak with us about his business’ impressive online reputation. 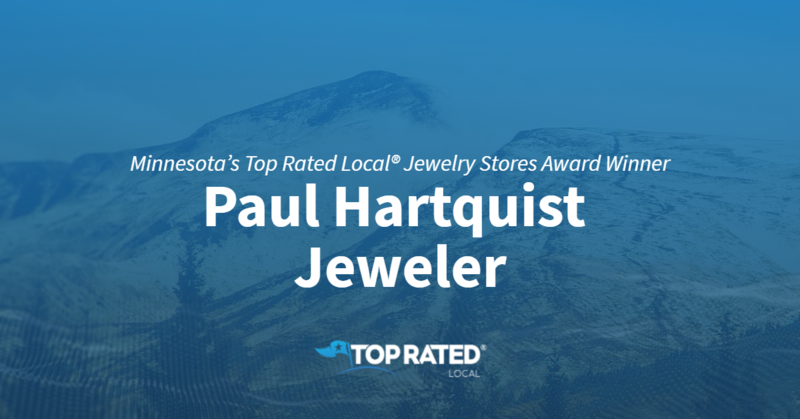 Congratulations to the team at Paul Hartquist Jeweler for being a 2019 Top Rated Local award winner, and thank you so much, Paul, for taking the time to speak with us! We highly recommend Paul Hartquist Jeweler in Minnesota. Visit their website today! 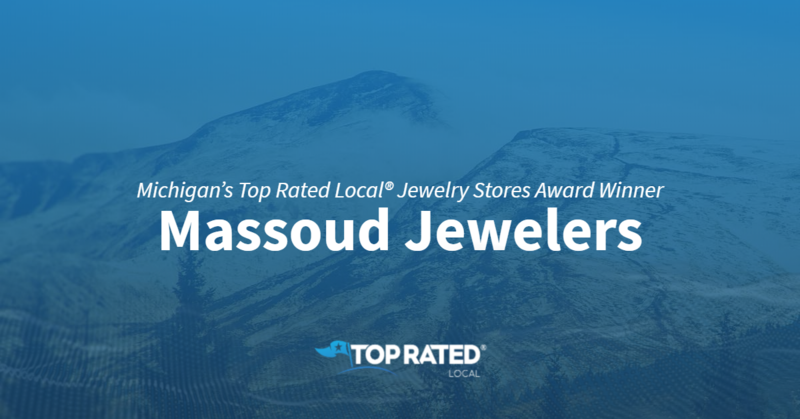 Top Rated Local® is pleased to announce that Massoud Jewelers is a 2019 award winner! Michel Massoud, co-owner of Massoud Jewelers, took some time to chat with us about his business’ exemplary online reputation. Congratulations to the team at Massoud Jewelers for being a 2019 Top Rated Local award winner, and thank you so much, Michel, for taking the time to speak with us!